Usually when we go on holiday we find ourselves holding our breath and constantly checking our weather apps to see what we can expect on our break. And although some people find the prospect of rain when they go away off-putting, this doesn’t have to be the case at all when you’re on holiday on Anglesey! Here’s how to entertain the family on a rainy day. 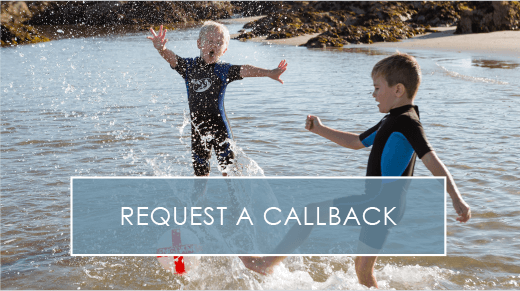 Below we’ve come up with a range of exciting ways to keep the whole family entertained on and off our Welsh holiday park, and we think you’ll love them. So if your weather app is predicting a rainy day, there’s no need to worry. Here at Silver Bay we’ve got your covered! One of the easiest things to do when it’s raining is to stay indoors, but when you’re the proud owner of a holiday lodge at Silver Bay, even a day inside is going to be fun and luxurious! Because each and every one of our lodges is complete with gorgeous decor and fantastic amounts of space for the whole family, you can be sure you won’t be falling over one another. And with all this space there’s plenty you can do. Rain gives your family time to bond together without the distraction of the outdoors. Sit down and play a board game, or perhaps gather together some tasty snacks and watch a film whilst you’re all snuggled on the sofa. Rainy days are also the perfect opportunity to bake together or maybe do a bit of family crafting. Time indoors is a great opportunity to embrace creative activities with the family. There are plenty of fun things to do when the weather outside has let you down – so turn that frown upside down and begin planning the best rainy day on holiday you’ve ever had! Here at Silver Bay, we’re proud to be able to offer our lodge owners some amazing amenities on site, and these make for great places to visit when the weather’s a little dull. A rainy day is the perfect excuse to relax in our fantastic spa. We have a range of treatment rooms available, as well as a wonderful swimming pool and jacuzzi. We also have a state-of-art gym available so you can still stretch your legs even if you can’t get outdoors. As well as this, we have a range of kids club activities for all ages that can still take place. During the school holidays, we have everything on offer from pizza making classes through to supervised fitness and pool activities! There’s even a range of activities on offer for adults including spinning and aerobics! 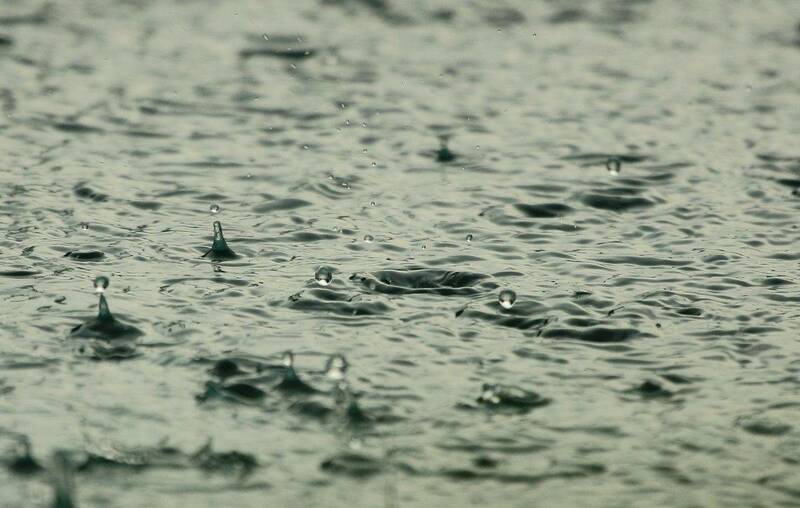 And, of course, the rain doesn’t mean we have to postpone our parties! We love a get-together in The Hay House here at Silver Bay, and we encourage all our holiday lodge owners to come together and have a fantastic time come rain or shine. So the next time you feel disappointment when it comes to holiday weather, push it to one side and have an amazing time anyway! Of course, rain doesn’t mean you can’t venture off site and have a fun day exploring the wonderful indoor activities of Anglesey. That’s what’s so great about this area – there’s plenty to do no matter what the sky’s doing! But which are the best attractions to visit? You guessed it, we’re here to help once more and point you in the right direction. Dating right back to 1829, this jail is from the Victorian era and makes for an excellent rainy day attraction on the Isle of Anglesey. The rain only adds to the atmospheric jail experience and the drama you’ll feel when visiting the attraction makes it a very interesting afternoon out indeed. At the prison you’ll find the UK’s only original tread wheel located in its original place, and as well as this you can expect to find the gallows in place on the outer wall! The building itself is on the large side, and you can experience everything from the dingy corridors through to the spooky jail cells. There’s also a punishment cell available to view – and it really is spooky. There were two hangings that took place at the prison, as well as one escape attempt that resulted in the prisoner breaking his leg and being recaptured a short while later. Transport yourself back in time and experience the eerie prison atmosphere for yourself! A great day out for all the family. As we’re an island, it’s unsurprising that another one the amazing attractions nearby is the maritime museum. This attraction is to be found within what’s believed to be the oldest lifeboat station in Wales, and you’ll find plenty to see on your visit. Located on Newry beach, the museum tells tales of pirates, shipwrecks and much more. 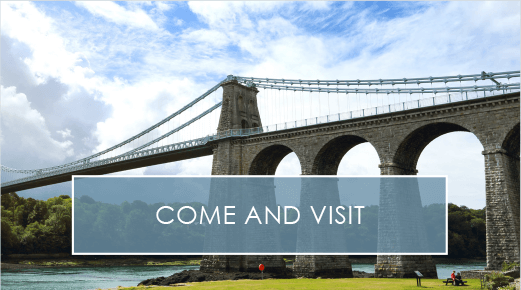 There are also plenty of exhibits that you can get up close and personal with, and discover model ships and lifeboat operators that have saved many lives on the Anglesey waters. There’s also a special section dedicated to what it was like during the war in the area – and there’s even an air raid siren that you could get the chance to ring for yourself! Make this your rainy day choice if you want to step back in time and experience what the maritime era was like, and is like right now, on Anglesey. For those who adore the chance to experience British local wildlife, Pili Palas could be the perfect rainy day choice for you and your family. Here you’ll be surrounded by gorgeous butterflies and awe-inspiring waterfalls, and there are even snakes and lizards about too that you might get the chance to hold if you visit during one of the hands-on sessions! They also have a special bug zone, where you can find all sorts of creepy crawlies from cockroaches through to snails, and after that the tropical room is home to scorpions, toads and much more. There’s even a delightful pet’s corner that’s sure to put a smile on your face! And now Pili Palas is the proud home of four delightful meerkats – and everyone loves those. There’s also an adventure playground and an indoor play area perfect to keep kids of all ages entertained. Perfect for rainy day fun, Pili Palas won’t let you down. Prices start for £7.25 for children, and it’s free for those under the age of three! Another attraction for wildlife lovers, Anglesey Sea Zoo is an ideal slice of rainy day entertainment. Filled with an array of underwater creatures, the Sea Zoo is home to more than 150 species. On a daily visit, you’ll find live feeds as well as talks to educate you on all there is to know about the wildlife around you. There’s even a chance to take a virtual scuba dive which is sure to be an experience to remember! The Sea Zoo is also home to conservation programs for Lobsters, Seahorses and also Dolphin Rescue. Prices start at £6.75 for children and £7.75 for adults. You can even choose your own pearl oyster and get access to a beautiful pearl for someone special in the amazing shop if you so wish! Image sourced from the museum’s Facebook page. Our final rainy day recommendation is the Anglesey Transport and Agricultural Museum. You may have seen this attraction on television, as it’s featured on shows such as ITV’s ‘A Great Welsh Adventure’ and many more. There’s a museum and cafe on site and it’s the perfect place to seek indoor entertainment whilst taking refuge from the rain! There are more than 100 vehicles dating from the 1920s onwards, and the museum itself benefits from the glorious decor of a cobbled 1940s street. It really is a delight to see, and it’s a fun place to visit for people of all ages. There are motorbikes, cars, military vehicles and more – and some of them have even been used in television shows and movies! Don’t miss out on this indoor attraction that’s sure to entertain everyone in your travel party. We’re home to some amazing lodges that allow you a slice of holiday luxury without even needing to leave the UK. We’re a perfect base for all your adventures come rain or shine on Anglesey. And our private beach, fantastic spa and leisure centre and private boat park make for the ideal place to enjoy all the perks of an overseas holiday without leaving the country! 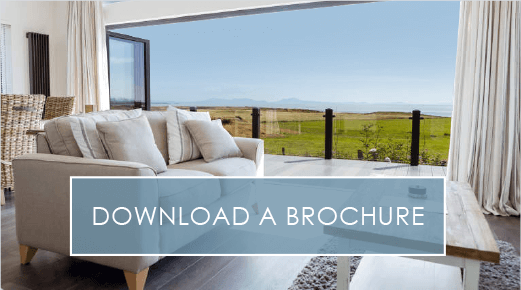 If you’d like to find out more, take a look at our free e-Brochure that you can download here. We’re also available on 01407 860 111 if you’d like to speak to someone direct with any questions or queries you may have! We hope to see you on our welsh holiday park in the near future!